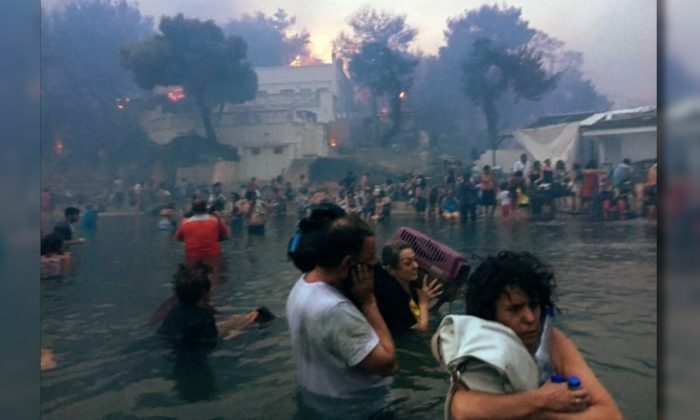 Video has emerged of dozens of people who fled into the sea to escape the flames of wildfires that swept through the Greek resort of Mati last week. The fires trapped people in cars and on the edge of cliffs, while others were forced to jump off to survive or rush into the sea from the beach. Video and stills shot by a survivor on July 23 show people huddled together in the sea to save themselves from the flames. 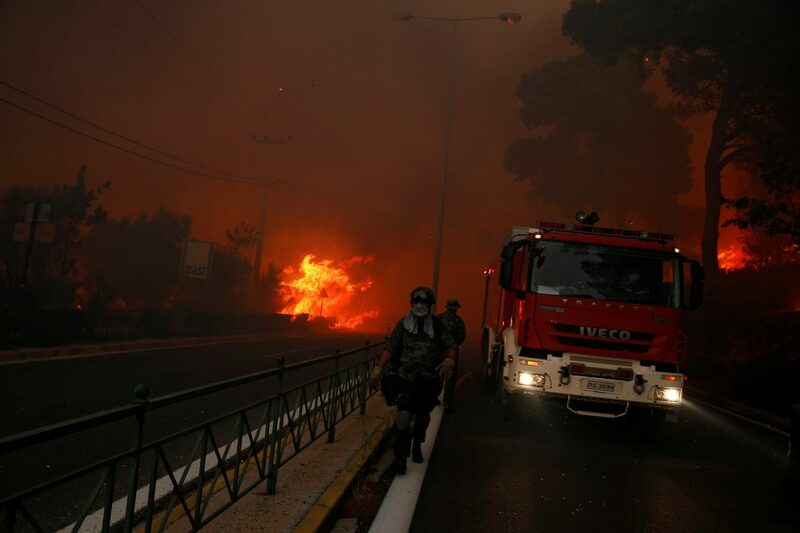 Rescue crews are still looking for survivors of the blaze, which began on July 22 in Mati, 30 kilometers (17 miles) east of Athens, as the death toll rose to at least 91 with dozens more injured. Mourners gathered in a church on Sunday where they wept and lit candles in memory of those killed when a massive wildfire swept through the popular resort near Athens earlier this week. A total of 25 people remain missing whilst 59 bodies have been identified and a further 28 are still to be named, the fire brigade said on Sunday. Another four people have died in hospital. 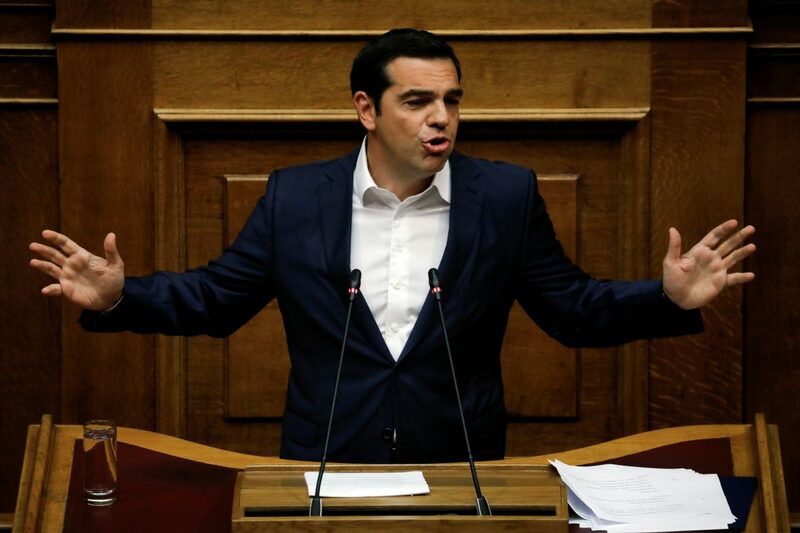 Tsipras has accepted full political responsibility for the disaster and pledged a series of changes, including on illegal and haphazard construction, which is thought to have worsened the blaze. The wildfire left the area dotted with burnt-out trees, ashen earth, and destroyed buildings as a clean-up operation continues. “The smiles should return,” George Kaminis wrote on Twitter.